Leave a message for Dan using the form fields below. If you have any questions, please contact us at (212) 269-7800. For general inquiries, email compliance@ingalls.net. Dan is a Senior Vice President who joined Ingalls & Snyder in 2013 with over twenty five years of experience as a credit portfolio manager and risk manager. Dan specializes in opportunistic credit investing in bank loans, high yield bonds and reorganization equities. Prior to joining Ingalls, Dan was with Knight Credit Group (2010-2013) where he was responsible for trading and sales of stressed and distressed loans and high yield bonds. Prior to Knight, Dan held credit portfolio management responsibilities at ABN Amro Group (2004-2008), Kellner DiLeo (2001-2004) and Banc One Corp. (1994-2001). 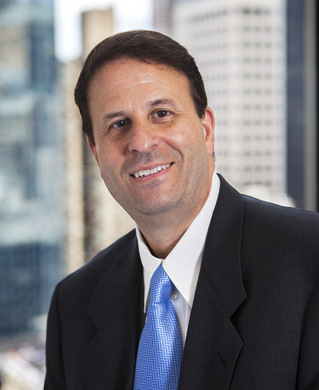 Early in his career, Dan worked as an M&A and restructuring advisor at PricewaterhouseCoopers LLP. Dan began his career working in commercial lending and structuring at PNC Bank. Dan received his Masters and B.S. degrees from the Pennsylvania State University School of Business. Dan and his family reside in Westchester County, NY.